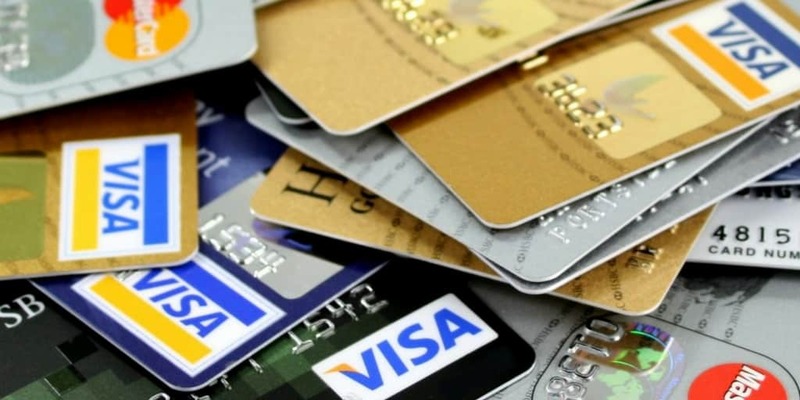 Home › Credit Cards › Can You Pay A Credit Card With A Credit Card? Can you pay off one credit card with another credit card? The short answer is you cannot directly do so. But don’t despair because we will reveal some creative ways that may help you out of a cash bind. Whether your cash is in short supply or you want to avoid paying higher interest rates on your current credit card, 0% balance transfer credit cards and cash advances are two ways to save money. Usually you cannot directly pay off a credit card with another credit card which means you need to get creative. If you are short of cash to pay off your balance, a cash advance is an alternative financing method. Cash Advance Tip: Cash advance fees can be as high as 5% and usually incur higher interest rate charges. Paying off a credit card using a cash advance is an expensive way to clear your credit card balance. The interest rate charged when making purchases is usually lower than the interest rate for cash advances so it could be an expensive source of financing. Plus, you will usually pay fees that can stretch as high as 5% for the privilege of a cash advance. So, if a cash advance is a costly way to pay off your credit card balance, what other methods can you choose? If you feel like there is no light at the end of the tunnel when it comes to paying off your credit card balance, hang tight! Lots of people struggle to keep up with monthly payments, especially when interest charges are tacked on. But fear not, Balance Transfer cards can be the answer to your prayers when you run into cash flow difficulties. Even if you simply want free or low-cost financing to make a large purchase, low-interest or no-interest balance transfer credit cards can be a compelling option. To lower your interest rate, consider transferring a balance on one credit card to another credit card that specializes in balance transfers. Balance transfer credit cards usually charge lower interest rates for an introductory time period and the best balance transfer cards frequently advertise 0% interest rate promotions. For example, the Discover It® – 18 Month Balance Transfer Offer card is about as good as any card if you want to chop your interest rate charges significantly. You pay 0% on balance transfers for 18 months and 0% on purchases for 6 months. When you need some extra runway to pay your credit card bills, balance transfer cards can extend the timeline before payments are due but they have some “gotchas” you need to know about before making the switch. Balance transfer fees can range from between 3% → 5% which can add up to a hefty sum, especially on large balances. For example, if you transferred a $15,000 balance from an existing card to a 0% balance transfer card, you may pay between $450 → $750 in fees. Still, those fees may be a good deal less than the total interest charges you would pay by sticking with your current card. You’ll need to run the calculation for your own situation to see if it’s a good deal. Rule Of Thumb: If you expect to pay an interest rate of 15% or more on balances over $10,000 for 2+ years, a 0% Balance Transfer card may be a good deal. Another gotcha to know before transferring your credit card balance is that you will usually stop earning cash back, points or miles rewards. The benefit of a low-interest or 0% balance transfer card is that you defer interest charges but there is no free lunch unfortunately. The price you pay is no more rewards. Check out the interest rate you will be charged after the grace period. In some cases, it may be higher than your original rate. Make sure not to miss a payment because it can trigger higher rate charges immediately. Credit card reward programs usually feature an option to cash in the points you have earned. All you need to do is select the cash back option and voila, your cash crunch may be somewhat alleviated if you had previously built up a stack of points. If you are a Chase cardholder, for example, you can apply your points to pay your bill directly in the Chase Ultimate Rewards® portal. Some other credit card programs will credit your checking account with cash rewards, which you can then apply to your credit card balance. Like the cash advance method, cashing in points to pay your bill can involve a few steps but the upside is you don’t pay fees and your interest rates won’t increase after a set period. If you are struggling to pay off your credit card, a cash advance, balance transfer card, or point redemption may be a short term fix. Nevertheless, it doesn’t hurt to cast an eye over your financial situation to uncover whether you might be spending more than you earn. You may discover that a spike in spending from a vacation or buying presents for loved ones is the cause or you may find a pattern of impulse buying. No matter what caused your cash crunch, the good news is there are lots of great budgeting tools to help you improve your financial situation. Personal Capital has one of the best free mobile apps to track spending, income, net worth, and even investments. Acorns is a microsavings app that deposits small amounts frequently into a savings account in order to build up your nest-egg over time and the best part is you hardly notice them because the amounts are small. If you are not sure where you sit financially, another great tool is Status Money. Status compares your income, spending, and net worth to national averages, peers, and even people who live in the same area as you. You can quickly gain insights into whether you are paying more than you should in interest charges or even utility bills. If your credit card charges are higher than average, you will quickly spot areas to save money too. The bottom line is you should calculate your income and spending to ensure your are able to squirrel away some savings each month. And where possible, look to the future when predictable spending spikes are likely to occur so you can build up a cash cushion ahead of time. Do you know of other ways to pay a credit card with another credit card? Share your ideas below, we would love to hear from you. ‹ Is AAA Worth It?